America’s grid still needs an additional $177 billion in investment between now and 2025. 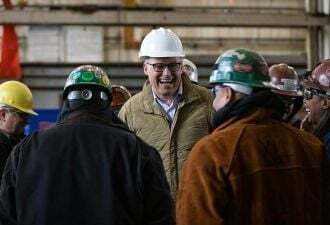 The American Society of Civil Engineers released its most recent report on American infrastructure, finding there is little progress on rebuilding the country. Although electricity infrastructure has improved slightly since the report card four years ago, ASCE is still calling for an additional $177 billion in spending on the grid between now and 2025. The initial report in 2012 did not assume any fundamental shifts in generation technology, but rather used the current mix of generation at the time and a move to some cleaner generation technology. Now, the report has found that the shortfall of cash for generating capacity has been halved from $400 billion in the next 20 years to $189 billion, mostly due to slow demand growth and the increase of new generation, primarily natural gas and wind. More energy efficiency and shaving peak load could reduce the investment gap further, but more distributed generation also requires additional investment on the distribution grid. Transmission and distribution investment, on the other hand, has seen the funding gaps increase over the next 25 years compared to the first report. The funding is needed not only to replace equipment at the end of its lifespan, but also to support a changing mix of generation, whether that’s connecting large-scale renewables to where they are needed, as Texas has done, or investing in the distribution grid so that it can better serve two-way distributed energy. The ASCE now finds that more than half of the lack of funding is in the area of distribution infrastructure. The U.S. recently passed the milestone of having completed 1 million solar projects, most of which are distributed, and it will take only a few more years to reach 2 million. High levels of renewables on certain circuits can require further distribution upgrades. Demand-side resources, such as storage or demand response, can mitigate the need for some of those upgrades. But most utilities are in the very early days of evaluating demand-side resources on a hyper-local level to mitigate the demands of distributed generation. Whether driven by resiliency, renewable penetration. 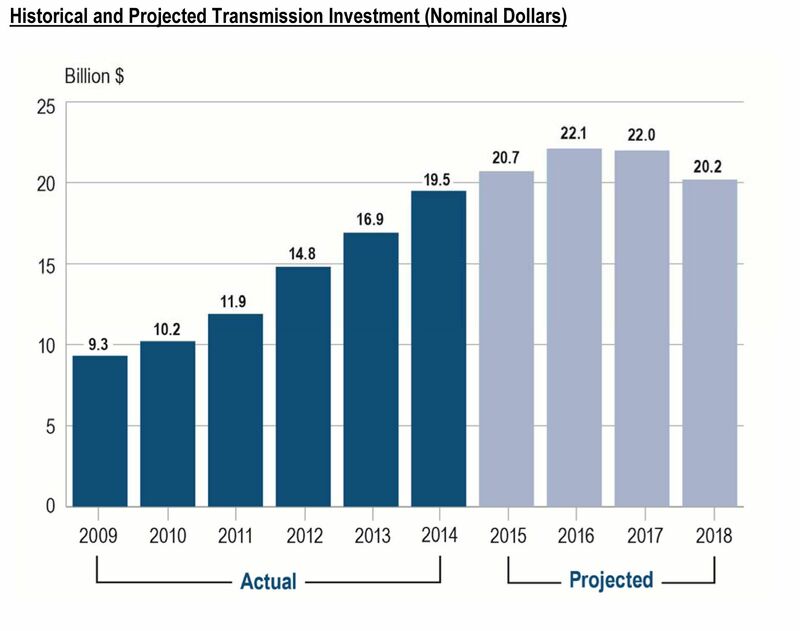 or both, there has been a steady increase in investment for transmission projects, which is expected to climb further through 2017, according to the Edison Electric Institute. At the distribution level, investment rates have also risen in the past 20 years, but could rise further with regulatory changes. In states such as California and New York that have aggressive renewables targets, changes to the utility business could change how they are able to pay for infrastructure upgrades. 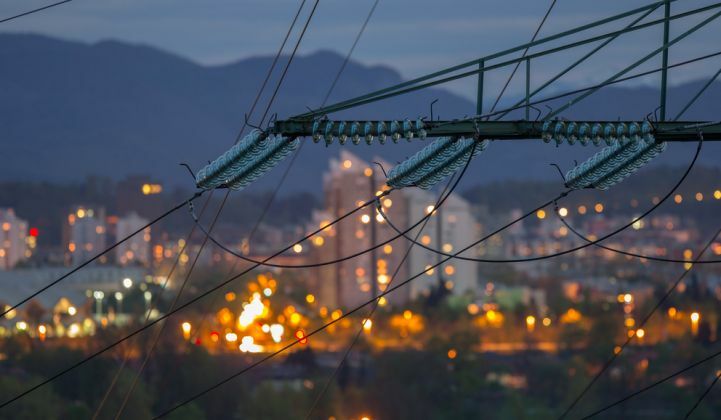 Both California and New York are evaluating new utility tariffs that could allow utilities to invest in and operate a distributed energy grid with very different incentives than those they receive today. In the short term, these two states and others are increasingly looking at sophisticated non-wires alternatives that are cheaper than expensive traditional upgrades such as substation replacements. Even though a few states are thinking holistically about new ways to spur investment in the electric grid, it will take many more models to see the investment that is needed across the country, and likely a lot more coordination between states and utilities. The challenge is daunting, but it is dwarfed by the infrastructure investment gap in surface transportation. In total, there is a $1.4 trillion investment gap between now and 2025, the report finds, more than $1 trillion of which is in the domain of surface transportation.